Coming to China I knew that I was coming into a country with very different societal views. A western view is more individualistic while the Chinese have a collectivist approach. The society as a whole is more important than individual needs and this was quickly obvious on arrival. Coming from a culture so different it can be easy to quickly judge by the first impression of no personal space, lack of neat order, people cutting in line, a free for all in driving and what we, as foreigners, may consider as a lack of “common courtesy.” However, if you open your mind and realize that this is their way of life and that doesn’t make it wrong or inferior. And instead get to know the people you will soon meet some of the kindest, caring and helpful people you have ever met. Just like anywhere in the world, everyone comes with different personalities that deserve to be noticed. The first local Chinese I really had the pleasure of getting to know as friends, were my co-workers and teammates at the school I work for. There is a large staff at my school of front desk, management, sales and teachers. They are all kind, welcoming and so hard working. The local teachers I work with are brilliant and creative. I learn so much from them. Anytime I need help or have questions whether it is about work, China, translation or whatever the case may be they are eager to help with a smile. At times they have gone above and beyond and I am so grateful for them and the friendships that have grown. The generosity is not just seen from people you get to know but on occasion from strangers. There are those that may be interested in taking a photo, practicing english or looking at you because you are different. There are also many people as well that are so happy to help you, when they see you may be struggling with translation or finding your way. This has happened to me on many occasions without even having to ask. Food is also one of the best ways to get to know the culture. Its a big part of the culture here in China and different places you go, even within Sichuan province, they have different cuisine or special dishes they are known for. The small little hole in the wall places have the best food, so you should get out and not be afraid to try new things. The best way is to go with a local Chinese friend, they can take you to the best places and educate you about it as well. Plus then you also have great company. Recently a friend took a group of us to an amazing small family restaurant near Leshan that was over 100 years old. It was delicious and somewhere we never would have found on our own or known the history of. My favorite experience so far from being here in China the last six months was a short camping and hiking trip into some of the nearby mountains off the tourist track. I went with a small group of friends. We first took a bus from Chengdu to Wenchuan. Wenchuan is a small city in the Sichuan province that was most greatly devastated by the earthquake in 2008. It was interesting to see how it has been rebuilt from that time. We had met a local there who treated us to a delicious lunch and helped us hitch two more rides up into the nearby ShangMeng mountains. From a small Tibetan village where the road stopped we went on a short hike up to a beautiful piece of land with stunning views owned by the wonderful people we call “uncle” and “auntie.” Here we set up camp. Though we may not have been able to communicate much, they were gracious to feed us delicious Tibetan hot pot, let us explore and feed their animals, teach us Tibetan dancing, roast a chicken over a fire and of course down some homemade baijiu. It was magical and my heart was so full!! I am looking forward to many more adventures like this while I am here! As humans it is in our nature to judge, but it is how we react to those judgments is what important. I personally have always been one to do my best to get to know someone as an individual beyond the judgements, imperfections and differences. This time in China has now more than ever given me the opportunity to do that and open my mind even more. I encourage that when you travel, even in your own country, to really experience and take it in. I have been guilty of just doing the touristy things and missing the realness, rawness and knowledge that can be gained. Safety is of course important but making common sense decisions and going with a group is always a great choice. Its never to late to change your perspective and open your mind. Get outside, explore all of our beautiful earth and people it has to offer. Above all it reminds you we are all just people despite our skin color, religion, background and language and everywhere on this earth there is so much beauty. Before I started researching China and cities to work I had never heard of Chengdu. I discovered most people that I spoke to about my transition had never heard of this huge city either. 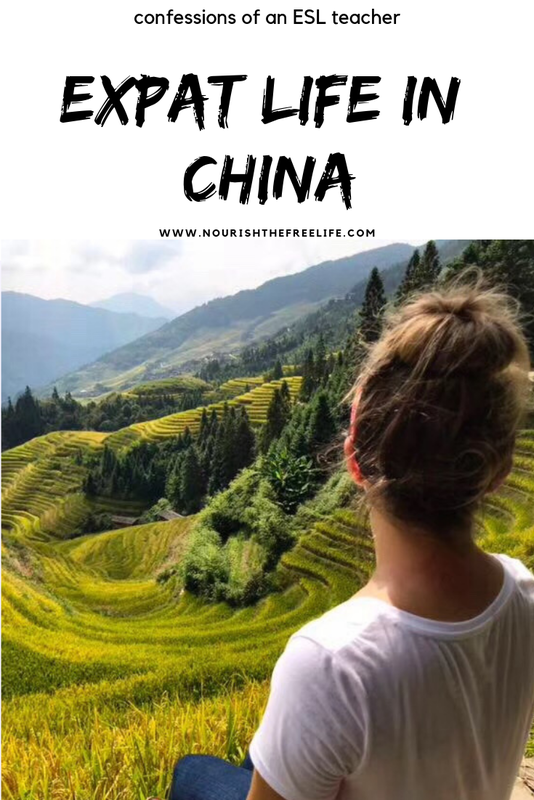 Chengdu is located in the southwestern province of Sichuan and has a population of roughly 14 million people, the 4th most populous city in mainland China. The great thing about this city is that even though it is so large it is also quite calm, with many parks, teahouses and beautiful places to visit throughout. There are also so many quick getaways out into nature by a short bus or train ride. I have had the opportunity to visit a few, Emeishan and Qingcheng mountain. However, there is so much more to explore and on my list. It is pandemonium here in China, well especially Chengdu. Pandas are everywhere…statues, clothing, pencils, signs, etc. It really is the land of Pandas and they are proud of it. There are several reserves of real pandas in and around Chengdu. I have only visited one so far. They sure are as adorable and wonderful as they seem and even better in person. It was great to go somewhere that felt like more of a natural living environment for them rather than a caged zoo. I look forward to many more trips when family and friends come! They are a must visit while in Chengdu! There are endless amounts of markets and clothing stales with any variety of clothing you could ask for. The best part is the funky style and shirts with sayings which contain broken english and random words that make absolutely no sense. To me that is the awesomeness of it and I have already started my collection of these great shirts! The Chinese, at least what I have experienced in Chengdu, as a whole really are very stylish. Always dressed up for any occasion, even hiking a mountain! It sure makes you feel good in your athletic wear hiking up a mountain dripping sweat and having women in dresses and heals without a stitch of sweat pass by ;). Markets of not only clothing but of all different foods are waiting to be discovered as well and there nothing like you would find in the states. One particular fish market I came across has any variety of sea life you could possibly imagine, from turtles and snakes to many things that I don’t even know what they are. The smell was extremely pungent and close to being unbearable but so worth walking through. Markets that contain meat just have the meat hanging there, nothing to keep it cold. Or you could go with the option of seeing the animal such as a duck, chicken or rabbit killed right in front of you. It can be disturbing, but another experience that is important to be had when in China. The Chinese seem to like everything hot and ice is a hidden treasure. This includes drinks and the temperature indoors. Unless you are in a western style restaurant (and sometimes even in those) warm water is what is served and ice may not be an option. Air conditioning, though places like malls have them, don’t seem to be put to use as much as would be expected or appreciated. Sometimes you may get lucky and get on a bus or in a taxi that has one on but the chances are minimal. Teaching a class, no matter if your moving a lot or not, you are bound to come out sweating. Be ready to be shiny and sticky 90% of the time. On the positive at least your body is releasing more of those toxins it is taking in through the pollution! This layers off from above as there are many health reasons they do what they do, including only drinking warm water. Still natural Chinese medicine very much a real thing and is what is typically given when going to the clinic. I have been sick just a few times since I have been here and a translator is a great tool if you want a quick trip to the clinic. Unfortunately, you can’t just walk into a store and get medicine, painkillers or really anything to help even with a cold. When you do go to the clinic you are given so much stuff and told to take a large number of small pills several times a day not knowing at all what it is. At least there is comfort in knowing it is something natural. For me it is actually my preference but the difficulty is not being able to know exactly what it is. Natural medicine is what am studying and I am slowly trying to understand more about Chinese medicine here while I can. Maybe this is why they seem to age very gracefully. Maybe the rich have them but your brought back a few decades here by having to hang dry your clothes. In the U.S. anyway, we have been spoiled with many conveniences including the ability to dry your clothes quickly. Its the little things that help you to appreciate as well as realize you can easily adapt and live without. American television and tv shows are not something you can watch here, except for the occasional sports or possibly children’s cartoon. Even Netflix is blocked. Honestly, I really don’t miss it. Plus there are no copy right laws so most people just download the shows or movies they want. The internet is a bit of a tougher thing to miss. Bottom line it is just slow and a VPN is necessary to access most sites you will probably want to. It makes it challenging and frustrating especially when it comes to trying to talk to family/friends and in my case also taking courses online. With that, I really came to china to get outside and see and experience what I can while I am here so the importance of this goes down. There are so many more crazy and interesting things to observe here in China such as no personal space, uncleanliness, crazy baby hats, babies with bottomless pants, shirts with built in sweat clothes, spitting, mouth numbing Sichuan peppers, being closely followed in stores and the list could go on and on. I may never get used to some of these things but is now not unusual to the eye.